They say there are only 6 degrees of separation between us. For expats I’m sure it’s less. Maybe more like 2.5 degrees. That’s because we are connected by the mysterious and invisible force that is The Expat Network. It is this network that means you are introduced to online to a new Spanish friend in Botswana by a German friend in Siberia. The German friend was your neighbour in Paris when you first moved there from Australia. Your new Spanish friend will invite you to a dinner party before your plane has even hit the tarmac. It allows a British friend in the US, who you met in Nigeria, to contact you in South Africa. She asks you how to get hold of a specific book. You tell her and she sends a copy to a friend who’s moving to Hungary. It delights children who move to a new school half way across the world and find a classmate from 3 moves ago. Years ago we visited my parents who were living in Indonesia. While we were there, we ordered a coffee table. We had no idea how we were going to actually get our hands on the coffee table when it was ready, but as expats we figured delivery was a minor detail. Sure enough, some months down the line I went to an expat coffee morning in Lagos, Nigeria. A friend appeared at my side saying there was a brand new lady who wanted to meet me and had my coffee table in her apartment. Now that was a lovely surprise! I went out for coffee and came home with a coffee table and one new friend richer. It arrived as if by magic, delivered by Expat Express via the Expat Network. One of my mother’s friends moved from Jakarta to Lagos and had popped it in her shipment. Expat life is a bit bananas. The Expat Network is completely awesome. I am therefore excited to announce the Expat Pass the Parcel Competition. It is also a bit bananas and hinges entirely on The Expat Network. The idea for the competition grew from the coffee table that was magically transported from one continent to another. The idea is that 3 lucky readers will receive a small mystery parcel containing some goodies all the way from Hong Kong. If you win, my challenge is to get your mystery prize hand delivered to you via The Expat Network. No stamps, no postboxes, no airmail stickers, no courier companies or tracking numbers. Instead you will receive it by Expat Express using only the goodwill and interconnectivity of The Expat Network. We are quite literally going to play Pass the Parcel, with an Expat twist. Along the way we will see how many expats it takes to pass the expat parcel from me to you. We will also count the degrees of separation between us. How does that sound? Follow Step 1. and 2. below to enter and to stand a chance of winning. Fill in the Entry Form. Please enter your name. Please also provide an email address. The email address is only is required so that I can contact you if you win. It will not be stored or used for any other purpose. Where you live and where you’re from will help me plan how I’m going to get parcels to winners. Which country are you from and where do you live now? 2. If you haven’t already, please like the Expatorama Facebook Page. That’s it. You only have to complete 2 steps to enter this original and slightly bananas competition. 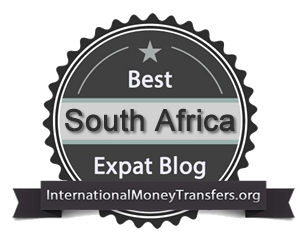 For this to really work please pass this post on to as many expat friends as possible. Help me to reach the furthest flung nomads and make this competition really interesting. So go on, give it a share! 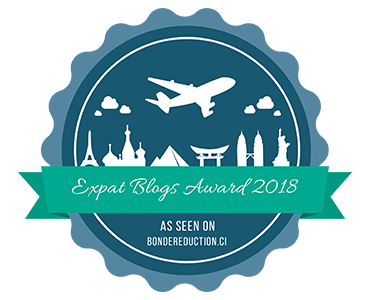 The closing date for Expat Pass the Parcel is April 7th 2019. I will be announcing the 3 winners from a lucky dip shortly afterwards. Then the race is on. We will see how long it takes to pass the parcel from me to you. I’ll be interested to see how many expats it takes for the package to complete its journey. *This competition is open to expats anywhere in the world!